Dry to wet. 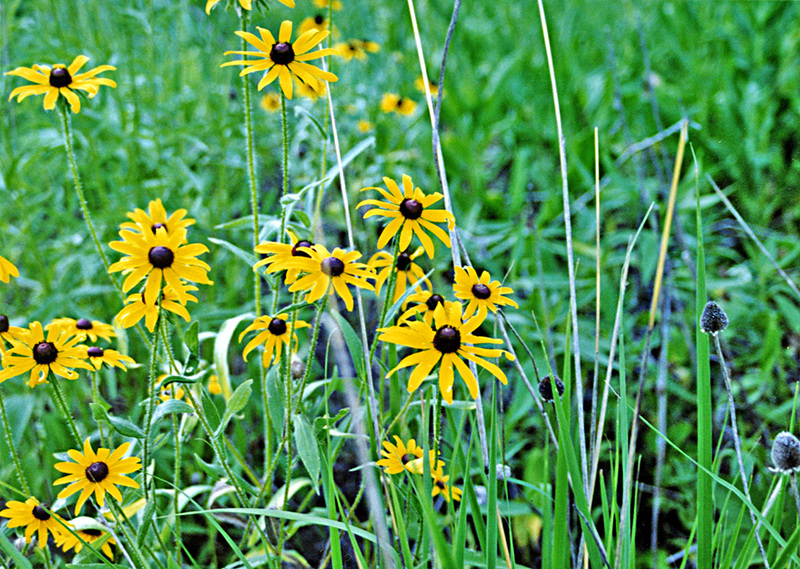 Prairies, forest openings, roadsides, disturbed areas. Full to partial sun. 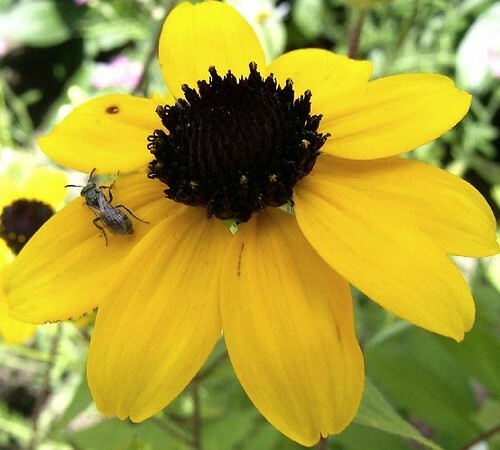 This is a 12″ to 36″ tall, erect, biennial or short-lived perennial forb that rises on one to several stems usually from a taproot, sometimes from only fibrous roots. The stems are erect, usually branched mostly above the middle, ridged, and sparsely to densely covered with short, spreading to ascending hairs. They are not glaucous. Stem leaves are alternate. 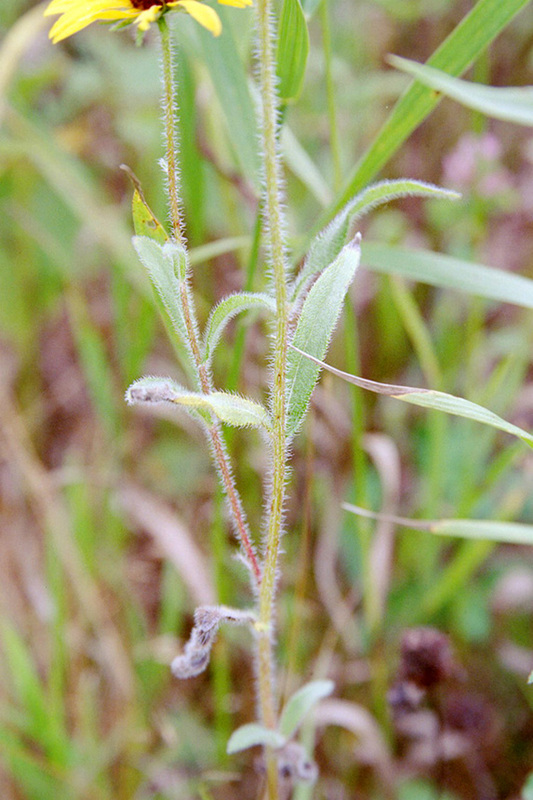 Basal and lower stem leaves are on long, winged leaf stalks. They are inversely lance-shaped, tapered or angled at the base, and rounded or tapered to a blunt point at the tip. They are 2″ to 11¾″ long, ¼″ to 1¼″ wide, 3 to 5 times as long as wide. The upper and lower surfaces are sparsely to moderately hairy with spreading to loosely ascending hairs. They are usually rough to the touch and are not glaucous. The margins are usually untoothed but sometimes have widely spaced, fine, sharp, forward-pointing teeth. Basal and lower stem leaves are sometimes present at flowering. 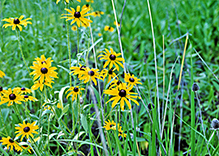 Middle and upper stem leaves are stalkless or on short, winged leaf stalks. They are lance-shaped, egg-shaped, or elliptic, the uppermost almost linear, rounded or squared at the base, and rounded or tapered to a blunt point at the tip. They are ¾″ to 8″ long, and ⅛″ to 1½″ wide. 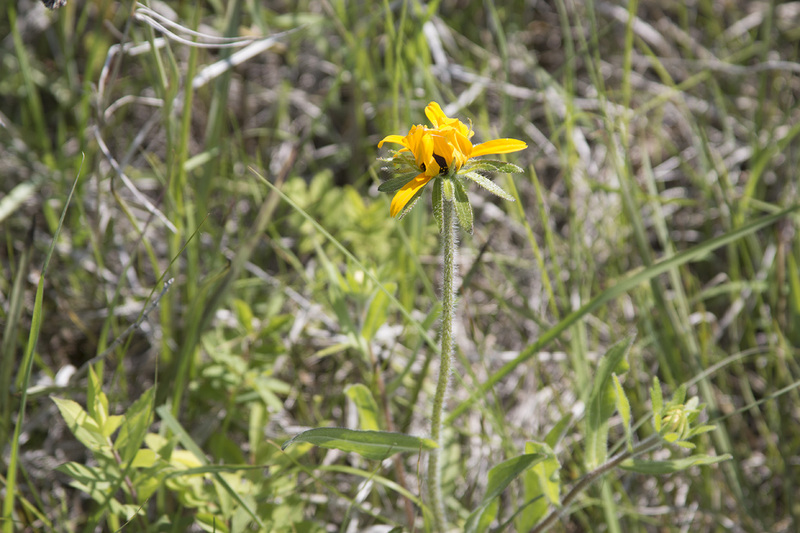 The upper leaves are clasp the stem at the base. The upper and lower surfaces are sparsely to moderately hairy with spreading to loosely ascending hairs. They are usually rough to the touch and are not glaucous. The margins are usually untoothed but sometimes have widely spaced, fine, sharp, forward-pointing teeth. The inflorescence is a single flower head at the end of each stem and branch. 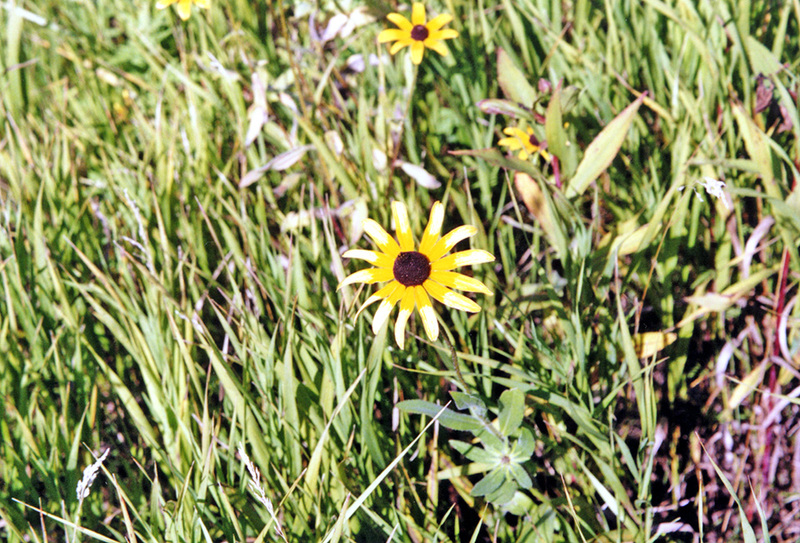 Each flower head is on a hairy stalk that is up to ⅓ of the plant height. 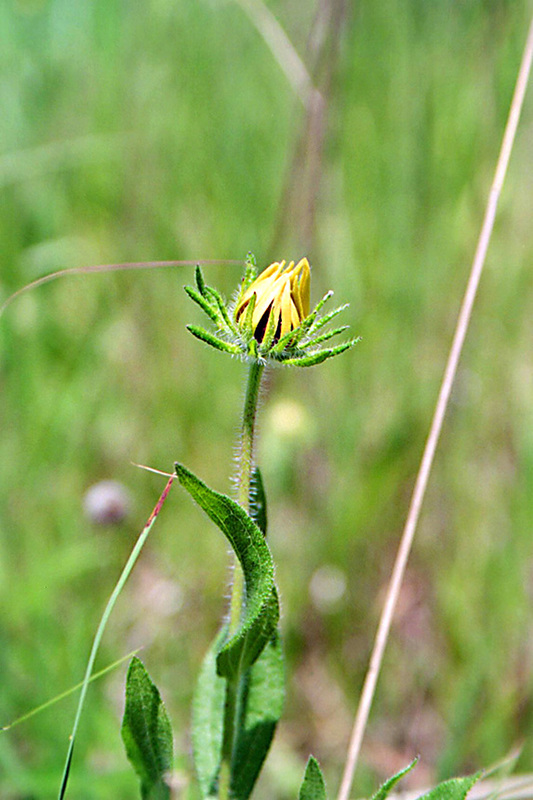 The bracts at the base of the flower head are lance-shaped to linear, moderately to densely hairy, with moderate to dense spreading hairs on the margins. 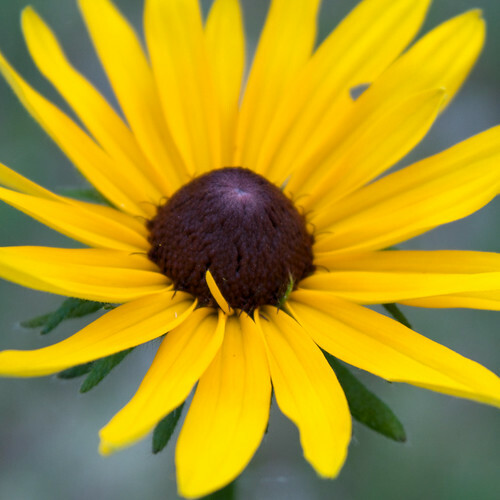 The flower heads are 2″ to 3″ wide. 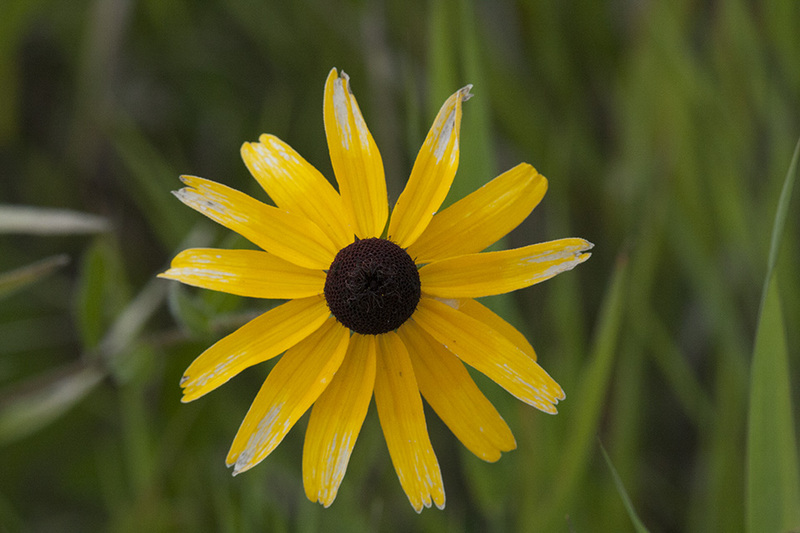 There are 8 to 21 yellow ray florets and numerous brown disk florets. The disk is in the shape of a flattened cone. The flower heads are not fragrant. 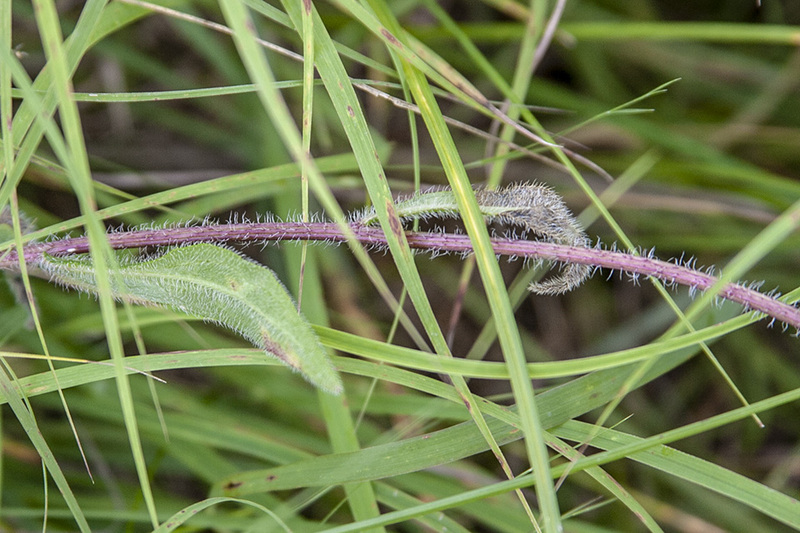 The fruit is a dry, black, oblong, 4-angled, 1 ⁄16″ to ⅛″ long cypsela with no fluffy tuft of hairs attached. 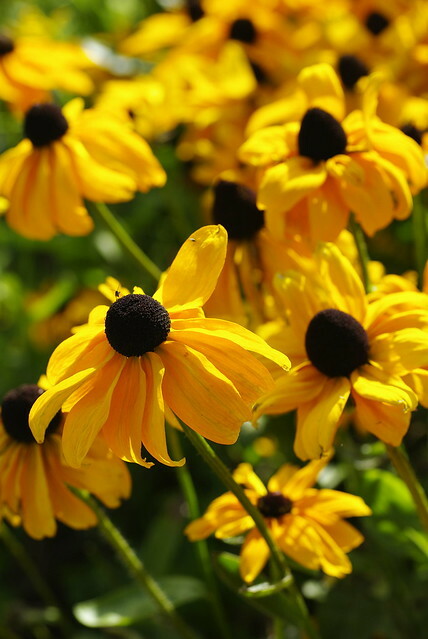 Brown-eyed Susan (Rudbeckia triloba var. triloba) is a bushy plant with smaller flower heads. 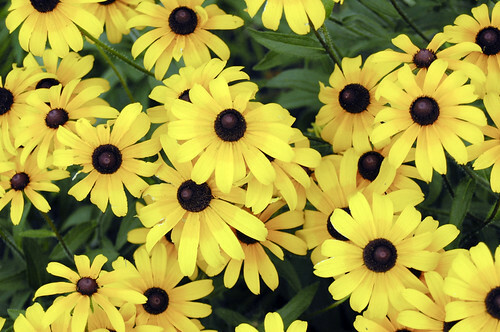 The flower heads have no more than 15 ray florets. At least some of the larger leaves are 3- lobed. 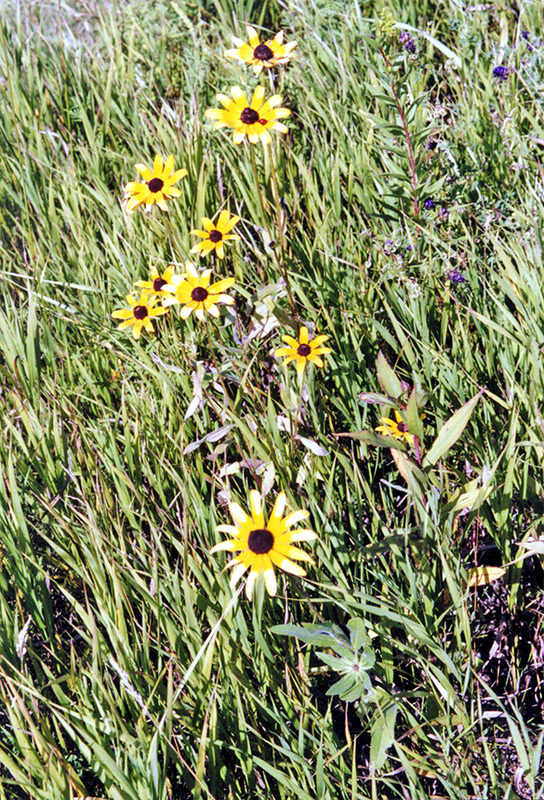 Basal and lower stem leaves are often absent at flowering time. 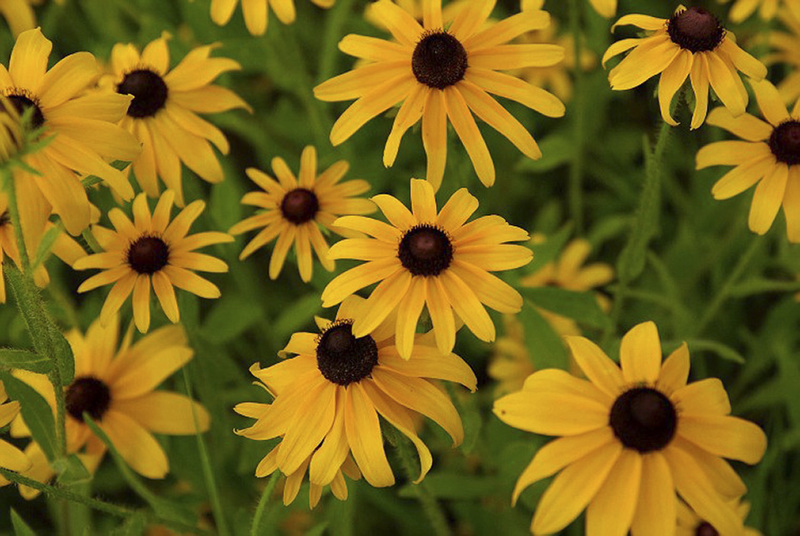 This is the state flower of Maryland. 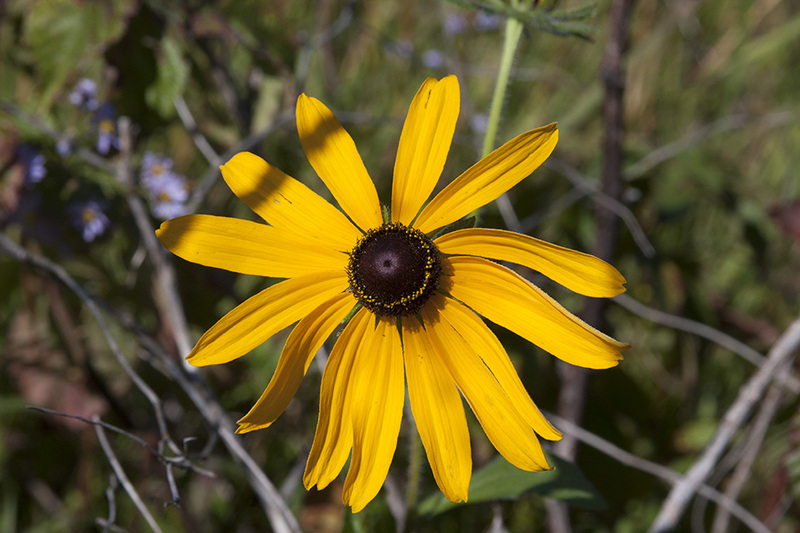 This video shows the common Minnesota native plant, Black-Eyed Susan (Rudbeckia Hirta var. Pulcherrima). 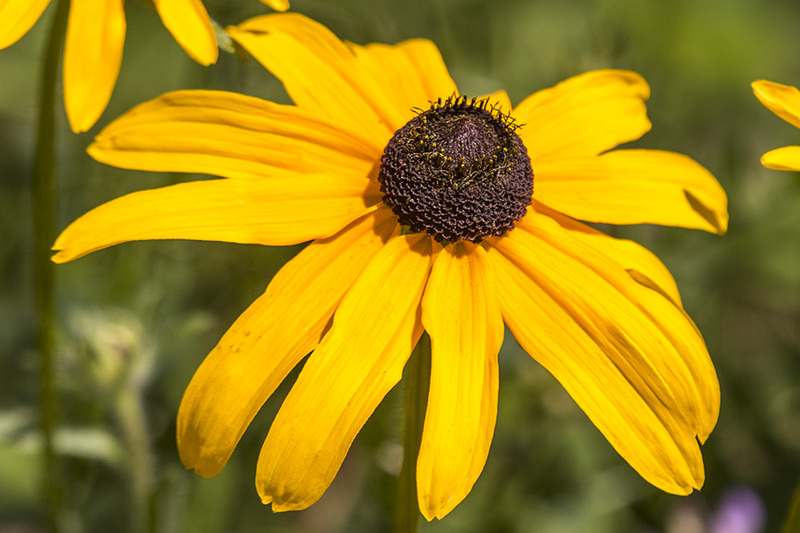 A beautiful native that is commonly used in native and non-native plantings.